» Blog Archive Constitution Day: Let's celebrate Constitution Day & Citizenship Day! Constitution Day: Let's celebrate Constitution Day & Citizenship Day! Constitution Day: Let’s celebrate Constitution Day & Citizenship Day! Constitution Day: what is it and why is it celebrated? The United States Constitution was signed on September 17, 1787, by thirty-nine delegates to the Constitutional Convention held in Pennsylvania. After ratification by eleven states, the Constitution became effective about one year later (September 13, 1788). The Bill of Rights (Amendments 1-10) were added and ratified on December 15, 1791. 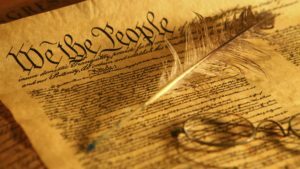 While the U.S. Constitution has been amended and interpreted in different ways by courts over the years, it has endured. As the oldest continuing constitution in the world, it is viewed as a document embodying strong institutions, democratic ideals, and principles of freedom. Previously known as “Citizenship Day”, it became an official federal holiday called “Constitution Day” in 2004. On this day, students learn about the constitution, the rights it ensures, and related issues in American government and history. Celebrating Constitution Day requires a brief understanding of the U.S. Constitution itself. After the Declaration of Independence was signed, the founding figures did try to create a formal government. They drafted something called the Articles of Confederation, which gave Congress the legal authority to govern the rebelling colonies as a single nation during the Revolution. After the Revolution, however, it became apparent that this government wouldn’t work. It was too weak. Paranoid of creating another oppressive government, the Americans intentionally made Congress weak. It couldn’t even reliably collect taxes, let alone enforce laws. After a group of unpaid war veterans started a rebellion that almost toppled the Massachusetts state government (known as Shays’ Rebellion), it became apparent that a real federal government, with real power, was needed. So, the Articles of Confederation were scrapped, and after a lot of debate, the delegates of the Constitutional Convention completed the U.S. Constitution, signing it on September 17. Believe it or not, many of our federal holidays didn’t actually emerge until the 20th century. The history of Constitution Day starts back in 1940, with the creation of an event in May known as ”I Am An American Day”. The purpose of this day was to celebrate all those who had become American citizens (through either the process of naturalization or coming of age). In 1952, this event was moved to September 17, directly connecting citizenship with the signing of the Constitution. This relocated holiday was known as ”Citizenship Day”. The goal was to both celebrate new citizens, and provide a national day of instructing these citizens on their rights and obligations within the American Republic. Constitution Day as we know it wasn’t established until 2004. In this year, West Virginia senator Robert Byrd moved to change ”Citizenship Day” to ”Constitution Day and Citizenship Day”. Since the day was already being used to teach new citizens about the Constitution and their rights therein, Byrd reasoned that established American citizens should be doing the same. · Constitution Day was originally known as Citizenship Day. · This bill also now mandates that there are educational programs on the history of the Constitution in all publicly funded schools on Constitution Day. 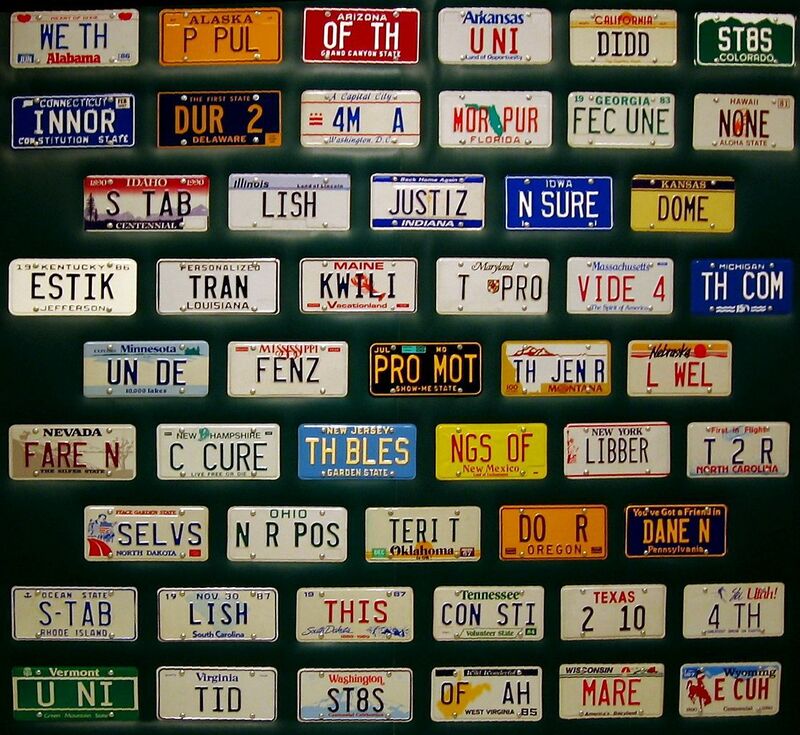 · Colleges and universities in the United States created ‘U.S. Constitution and Citizen Week’ to comply with the law. · In 1939, William Hearst began to advocate for a holiday that would celebrate citizenship. William Hearst owned a chain of newspapers and used these to build awareness for his idea. · Congress began calling the 3rd Sunday of May ‘I Am an American Day’ in 1940. United States Immigration and Naturalization made a film in 1944 called I Am an American to promote I Am an American Day. · In 1949, 48 states made Constitution Day proclamations. In 1952 Congress changed ‘I Am an American Day’ to Citizenship Day, to be celebrated every year on September 17th. · Senator Robert Byrd was responsible for having the amendment passed that changed the name in 2004 to Constitution Day. 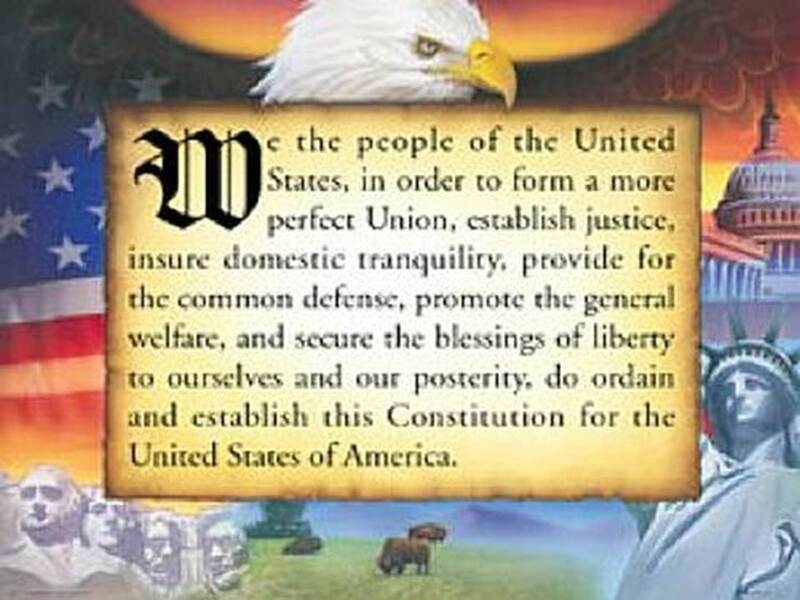 · In the major governments of the world, the United States Constitution is both the shortest and the oldest constitution, with only 4,543 words. · Jacob Shallus, a clerk for the Pennsylvania General Assembly, penned the Constitution for $30. Today that would equal $726. 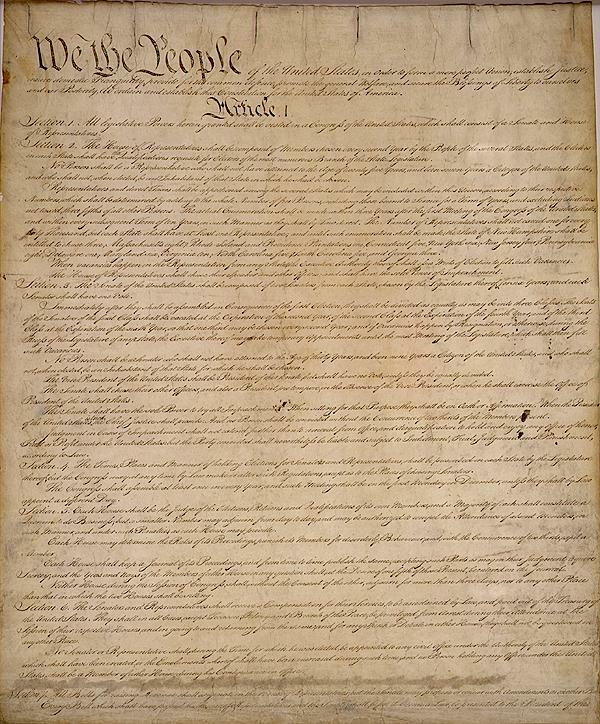 · Today the Constitution is on display in Washington, DC at the National Archives Building. It has been there since 1952. It is kept under special conditions to preserve the four pages. · Because the Constitution did not contain a bill of rights, three of the 42 delegates did not sign the document. · Benjamin Franklin, at 81, needed assistance to sign the Constitution because of his failing health. He’s said to have had tears streaming down his face as he signed the document. He was also the oldest person to sign while Jonathan Dayton of New Jersey, at 26, was the youngest. · Not once in the Constitution does the word ‘democracy’ appear. · The Constitution has been changed 17 times since it was created. · Although Constitution Day is a federal event (not a holiday), federal employees do not get a holiday. 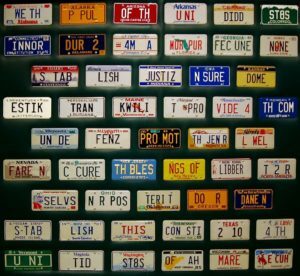 · Many Americans post the American flag on poles on their front lawns and on their cars. · Many students are given copies of the Constitution on Constitution Day, distributed for free by their schools. 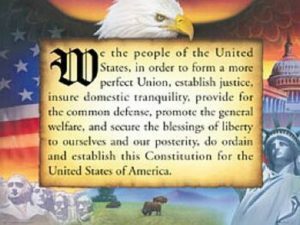 · Many Americans use Constitution Day to clean up their neighborhood. · There often cleanliness drives organized on Constitution Day, used as a way to promote both sanitation and social involvement. · Many countries around the world also celebrate their own Constitution Day. They are celebrations to honor the signing of their own constitutions.